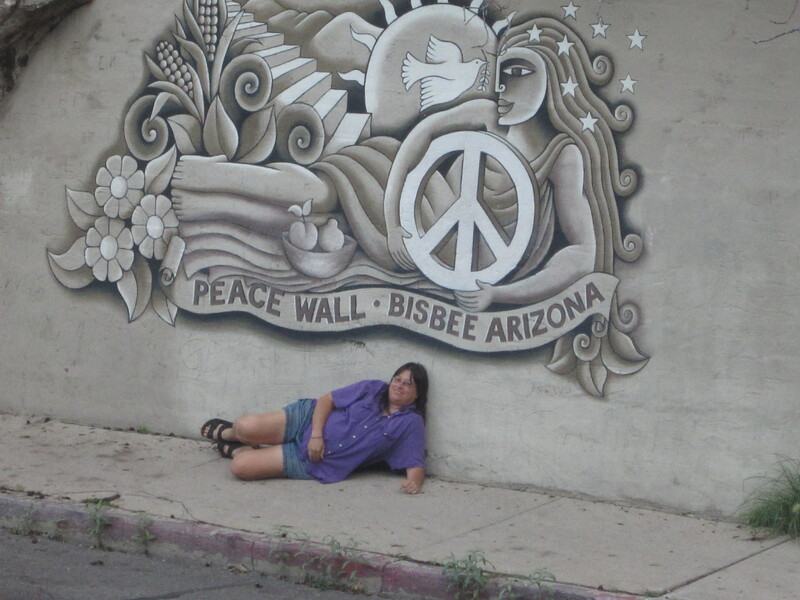 The Peace Wall was right across the street from our hotel, The Inn At Castle Rock. The wall is just to the side of and part of Castle Rock which is a HUGE rock that is simply magical. We spent many hours sitting on our balcony and enjoying the beauty and majesty of Castle Rock. IT has stories to tell if you listen hard enough. Diana and I had a blast talking about her and finding faces and other shapes in her. Since Bisbee pretty much closed up by 6pm unless you want to hang out at the bars, she was a terrific view for us to enjoy while sitting on the balcony, drinking and having great conversations. We also took in her beauty in the morning before we headed out to enjoy the town. Here she is in a photo I took from our 3rd story balcony. Bisbee, AZ is an old mining town. It has a ton of history and is known now as a laid back hippie artist community. Our tour guide on the trolley tour we took told us, “Many say Tombstone is the town to tough to die, well Bisbee is the town too high to care.” He also said if you ever wondered what happened to all the hippies in San Francisco, Haight-Ashbury district all you need to do is check out Bisbee. Walking through town is wonderful because everyone is so nice and you can certainly see some terrific and interesting art. We didn’t go on the mine tour, which is one of the biggest draws but we did do the trolley tour and spent quite a few hours in the museum. IF you really want to get a feel for the history of this town definitely check out the museum. It is terrific. There is actually a lot you can do in Bisbee, but this was our girls weekend so drinking and chatting were the top priorities for us, and we succeeded with both. During the day we did walk around town and check out the shops. There were quite a few window displays that just stopped us in our tracks. There was one spiritual store, actually I think it was a Wicca store, but it certainly drew me in. They had some interesting things and I had planned on going back before we left to purchase some meditation candles but spent my money at the museum on crystals instead. A very nice man who was giving away espresso shots told us about a new Vietnamese Restaurant called Thuy’s Noodle Shop that was terrific so we decided to try it out. OMG the food was so tasty. The people were very friendly and the atmosphere was very inviting. We both had the beef noodle soup and it was superb. For me it was a new and exciting experience with flavors my taste-buds had never tasted before. 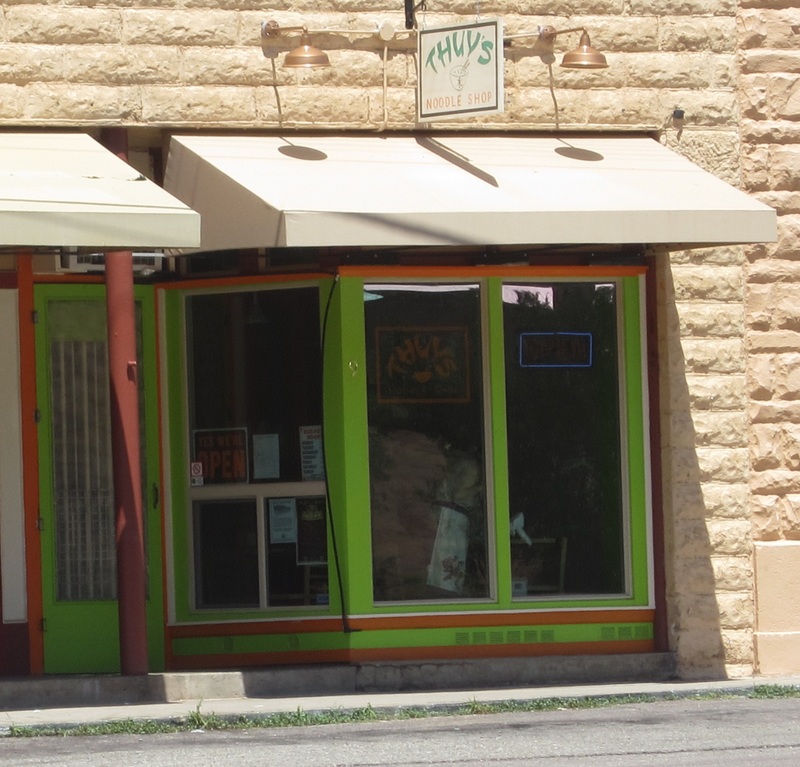 When in Bisbee, eat at Thuy’s. Diana was a bit surprised at my excitement about trying it because I am no foodie. Diana says I am boring eater and she is right to an extent. With all the changes in the past year I have decided to try new things and open up to new possibilities and trying new food is one of them. It is exciting to me that after knowing each other for 32 of our 43 years in this life, we can still surprise each other. Diana quizzed me about the changes in me in the past year and it was great to be able to tell her all about what I have been through. It was terrific that she could see changes in me. She has been able to notice changes in me over the past year through email and on the phone but it was nice for me that she was able to see it now too. She is so supportive of me and the path I am on and I am eternally grateful for that. We were there on a down weekend, meaning there was not a lot going on but there are times when that place is packed. The weekend after we were there they were having a big Pirates In The Desert Festival. Our tour guide told us that Bisbee loves parties and if one is big success then it becomes an annual event. I think coming up soon is the 1000 Steps Marathon. The steps in Bisbee are amazing. During this marathon, people run around the town and go up and down certain steps and in the end they will have gone up and down 1000 steps. Crazy, but I bet it would be fun to watch. All in all we had a very fun, relaxing weekend filled with laughter, learning, good food, art, nature and of course superb conversation. 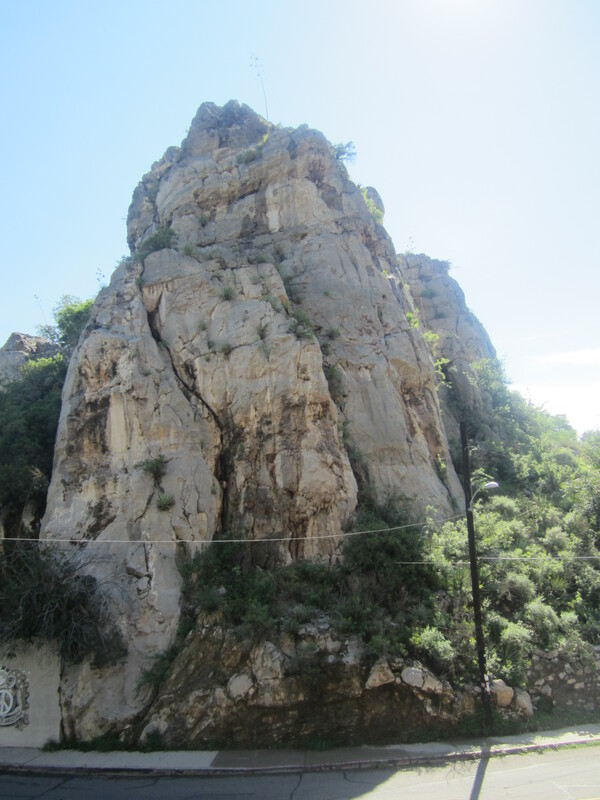 It is known that Bisbee is a haunted place and we did have our own experiences but that is for another post. I Love Bisbee and will certainly return many times.